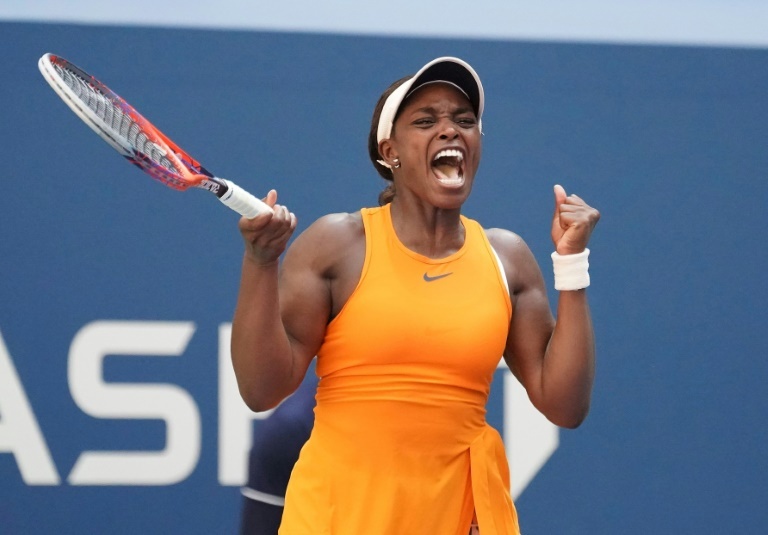 Defending champion and third seed Sloane Stephens made the US Open third round on Wednesday with a marathon 4-6, 7-5, 6-2 win over Ukraine qualifier Anhelina Kalinina. Stephens triumphed after 2 hours and 46 minutes on a sweltering Arthur Ashe Stadium and will face two-time Australian Open champion and former world number one Victoria Azarenka for a place in the last 16. The American needed treatment on a blistered right hand in the second set as the crushing effect of 35-degree heat took its toll. However, the 10-minute heat break between the second and third sets proved a timely boost. I just sat on the floor, changed my outfit, had two bites of Sushi and a slushie, said the 25-year-old after seeing off world number 134 Kalinina. It was super-hot so I’m just happy to be through.